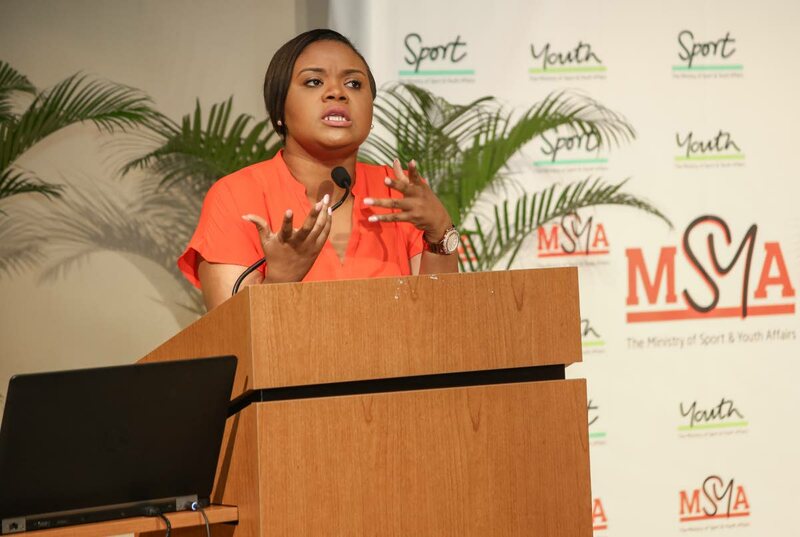 MINISTER of Sport and Youth Affairs Shamfa Cudjoe said robust youth programmes will take place this year to support the development of young people. Cudjoe was speaking at a Ministry of Sports and Youth Affairs youth stakeholder meeting entitled Group Link – Towards a Shared Vision at the Government Campus Plaza at Richmond Street in Port of Spain, yesterday. The meeting included presentations from youth development specialist Henry Charles, Caricom youth ambassador Dexter Wilson and director of youth affairs Earland Kent. Cudjoe said plans must be put in place, so that everybody is on the same page in terms of youth development. “The whole plan here is to develop a robust youth agenda that is like a contract, like an agreement that we all agree on. This is our road map, this is our blueprint and youth development for the next how many ever years. That is the kind of conversation we need to have, so that whenever a politician changes or a Government changes the youth agenda is the youth agenda,” she said. The LEAP (Life Skills, Employment and Entrepreneurship, Activism and Patriotism) programme will also help young people develop, she said. Cudjoe also said that mentorship programmes will come on stream later this year. Reply to "Cudjoe: Robust programmes to help youths"